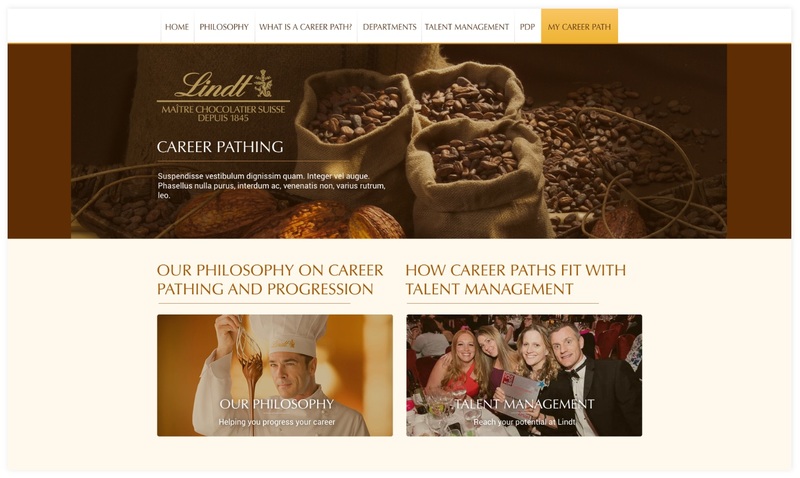 We began working with Lindt in 2016, when their HR department approached us for support in building a custom careers pathway system for their staff. Lindt pride themselves on their company culture and staff development, so the system needed to support employees with their career path progression. The intranet system required a heavy focus on the initial architecture so we could ensure the complex requirements provided a smooth and user friendly experience. We initially built a prototype that went through various phases of internal focus group testing. The feedback allowed us to further develop the system and create a robust platform that was easy to use. 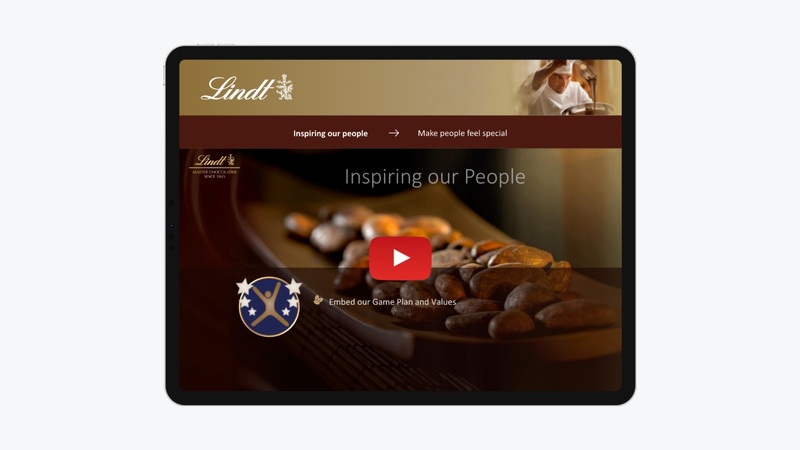 We also created a second internal system for Lindt to be used for training new staff on the company values. The system needed to be engaging for new starters, and so we created over 20 professionally voiced animated videos, which are succinct and easy to watch. Lindt were about to begin an employment drive when they came to us with the requirement for training material; that meant that there was a deadline of just two weeks to complete the job. 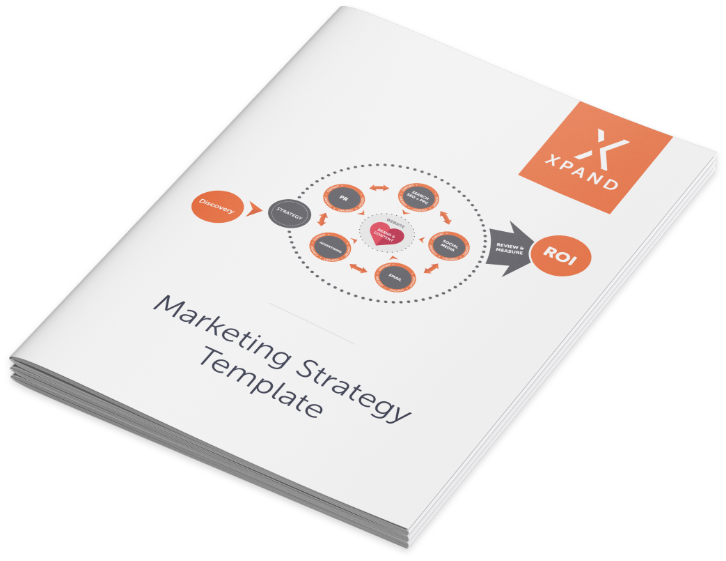 We have been working with Xpand for the past 18 months. They helped us to develop a career pathing tool and also develop an online tool for our business plan to share with teams. I’ve been really impressed with the speed in which they understood the project, their detailed proposal, and on-going communication to ensure the projects were delivered on time and in full. The career progression system allows employees to map their career path, not only by progressing upwards within their department, but also how they could step sideways into a new role with a different function. This allows Lindt team members to plan their career with the company, and how they can get to where they want to be. 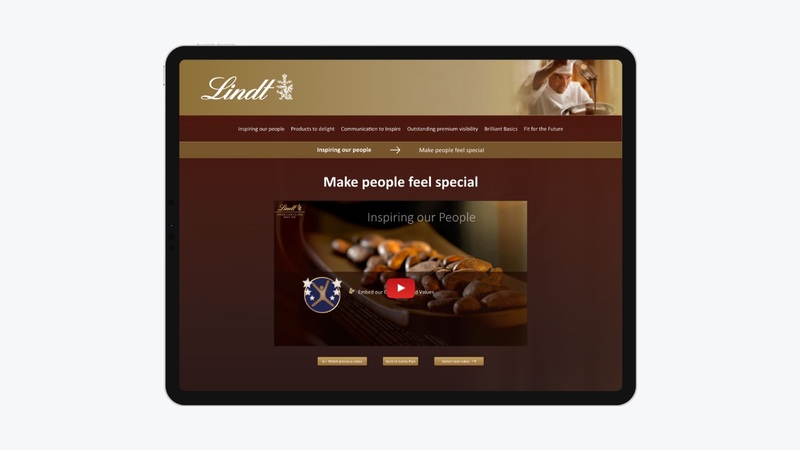 The second system we developed meant that Lindt no longer needed to deliver a long-winded training session using PowerPoint presentations, and employees can revisit the videos at any stage. This saves time and increases impact for new starters. We were able to deliver the second project from concept to completion with time to spare before the two-week deadline.